I admit, I’m addicted to hiking. Tod’s schedule has made it difficult to hike together so on Sunday I ventured out by myself to Scott’s Run Nature Preserve in northern Virginia. Scott’s run is a hidden oasis in Fairfax County. Nestled between housing developments and the beltway, it is amazing that it has been preserved for nature lovers. I began my hike off of Georgetown Pike at the entrance near Scott’s Run. The trail was a blanket of leaves. In fact, along some sections it was really hard to tell where the trail was! The hike was mostly level and would be a great alternative for those with young kids. Before long, I came to the Potomac River. According to my guidebook, the shoals are known as Stubblefield Falls. There are plenty of places to sit and enjoy the view. I walked along the river for a while before meeting up with another part of the trail, higher up. Although some parts of the trails are well marked, it wasn’t always easy to find my way. I’m pretty sure I took a “road less traveled” and ended up on an unofficial trail. I’m glad I finally met up with a major trail and made my way to the area near Scott’s Run. This time of year is so peaceful in the forests. Without the leaves I could see well into the woods. Even though it was cold out, a brisk pace helped me to stay toasty warm! Overall, it was an easy 3-4 mile loop. Well worth the trip! 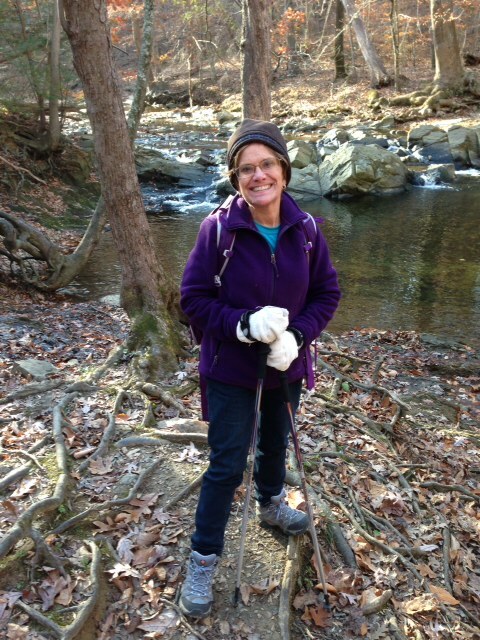 This entry was posted in Maple's Jots on Jaunts, Virginia Hikes and tagged virginia hikes by Maple. Bookmark the permalink.